Offered by the Wine3 restaurant in The Fortress, a Sri Lankan luxury hotel, this dessert is an Italian cassata made with gold leaf and Irish cream. 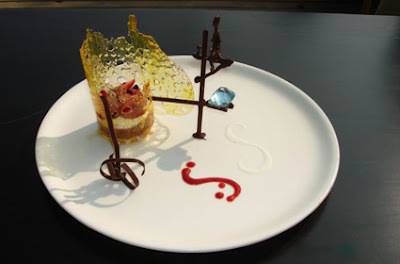 It’s served with a mango and pomegranate compote, a champagne sabayon enlighten and, most notably, a chocolate sculpture of a stilt fisherman sitting over an 80-carat aquamarine. 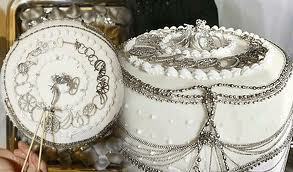 A joint venture between Serendipity 3 and jeweler Euphoria New York produced this dear dessert. 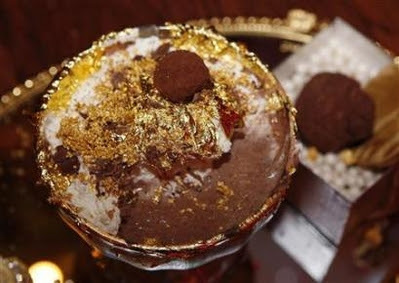 A blend of 28 cocoas, half of which are among the world’s most expensive, infused with five grams of 23k gold, this sundae is served in a goblet lined with edible gold and featuring a diamond and gold bracelet around the base. 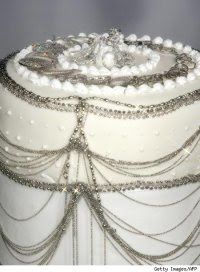 Created by Japanese pastry chef Nobue Ikara, this white cake is decked with platinum necklaces, pins, pendants and, for good measure, edible platinum flakes. The creator dedicated the cake to a number of famous Japanese women like Rinko Kikuchi and Chie Kumazawa. His hope was to encourage more women to wear platinum jewelry. Available at Arnaud’s in the French Quart of New Orleans, these fantastic strawberries were marinated in the finest port. 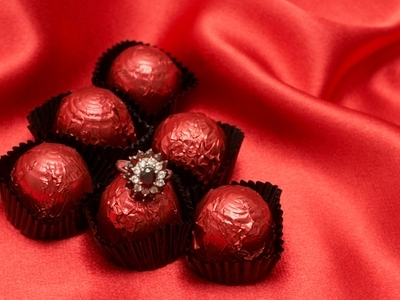 They were served with mint, cream and one other very special topping—a 4.7-carat pink diamond ring once owned by English financier Sir Ernest Cassel. The million-dollar strawberries were accompanied by a fine port poured from a $25,000 Charles X crystal cave set. Sold on Christmas 2005, this cake was also created by a Japanese pastry chef. Creating the cake required six months of conceptualization and another month to produce it. 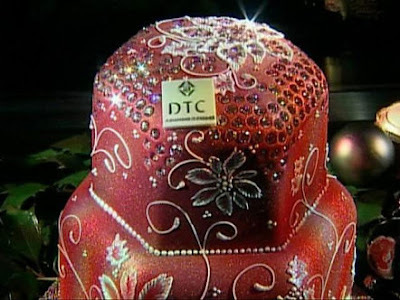 It’s decorated with 223 diamonds. The other ingredients, however, remain undisclosted.